I saw eye Majic on Oprah show and don’t know how to find it. Where did you buy it from? PB says: I didn’t buy it. I happened to stumble on its site. It looks like its available in the Phillipines but I’m not sure where Oprah got hers from! Actually, to set the record straight, Eye Majic is an invention from Majic Beauty Pty Ltd, Australia not the Philippines. Eye Majic was invented to give women the confidence of applying beautiful colors to their eyes effectively and instantly which has many benefits as a more convenient and practical alternative in market place, especially in todays fast paced world. 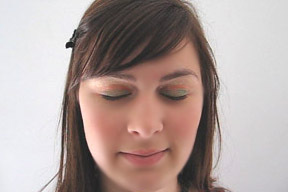 Eye Majic is the quickest and easiest eye shadow in the world which utilizes the latest technologies. Thanks for the update MWS actually im not the owner, Mr. Mammone from Majic Beauty Australia is the sole inventor and manufacturer, i hope to keep you updated with new colors and styles available shortly. 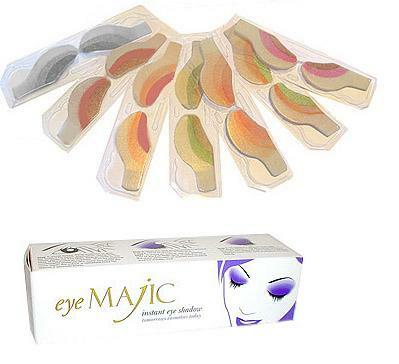 Eye Majic is just the first of an innovative new product line. I am thinking about purchasing this product! More info please? EYE MAJIC – is available to purchase on http://www.eyemajic.co.nz – we are the NZ distributors and happy to ship anywhere in the world – prices are in New Zealand dollars. PB Says: I don’t deal in this but maybe you could contact one of the companies distributing it. Thanks. Hey, I seen this on Oprah as well. I thought it looked great! But I’m kinda confused. On the show the lady said she invented them. Who is Mr.Mammone? PB says: I guess you’ll have to check with the people from Eye Majic about this! I am watching this on Oprah now!! (UK), she did not win, but she did say she invented it. Is this not the case??? PB says:I’m not quite sure. Its what the commentators told me and what the website says! Perhaps someone would like to answer this? If you are in the UK and would like any further information you can visit http://www.majic-cosmetics-uk.com or email info@majic-cosmetics-uk.com for any order enquiries. I did some research on this. The Majic Eyes is a rip off from the original (coloronpro)They are the true inventors of this luminous idea. They hold the patents and majic eyes is not available in the USA anymore. The majic eyes products work on a base of electro static cohesion whilst the coloronpro is based on natural minerals (the electro static base was the preliminary product but did not make it in the quality approval stage). I did a test on both products and must say: majic eyes is truly a bad quality. Please watch out with these con-artists. beautysnob you must be on drugs, you have no idea what you are talking about except trying to spoil the image of an amazing product that is obviously much better and by far cheaper much cheaper than yours. total fabricated lies, your post should be removed and you horse whipped until unconcious. What people don’t seem to realize is that the Coloron are pressed on while Eye Majic slides on. I do like the variations of the Coloron products better than the Eye Majic, but I do fear that the ones from Coloron needs to be blended afterwards. Does anyone know if this is the case? Got to say, I was in a market research study where we got to try to use the product. I love it. It was being sold on HSN but I hear it sold out. We got to take samples home, and I was quite pleased. beautysnob its obvious you are some fake poser from coloronpro USA and actually what you said is exactly the opposite of what really transpired. truth be known. Danielle Tanner you go girl !